Computex 2017 will shortly be here, Due to this fact the amount of news coming in for Computex has become insane we thought we would catch up by covering all the news we have thus far in one simple place. 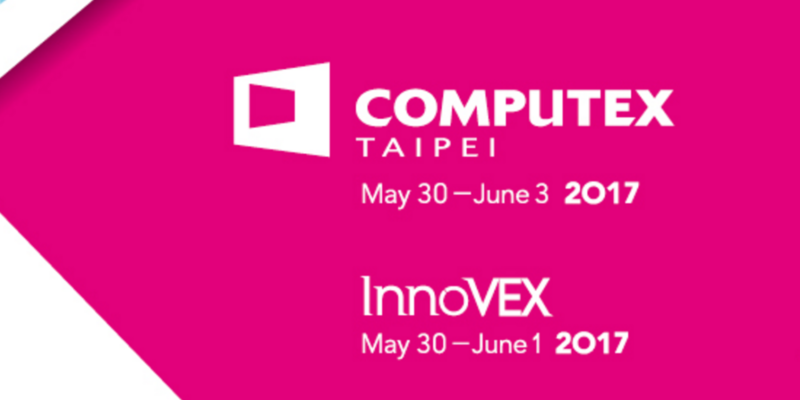 May 23rd, 2017, Shenzhen, China – Colorful Technology Company Limited, professional manufacturer of graphics cards and motherboards, humbly invites all to join its booth at COMPUTEX 2017, the largest technology expo in Asia to be held in Taipei this May 31st. COLORFUL will be showcasing its high-end products on TWTC Nangang Exhibition Hall (M1090a, No.1, Jingmao 2nd Rd., Nangang Dist. ), includes graphics cards, motherboards, Mini PCs, and SSD. COLORFUL continues its history of innovation and taking ultimate performance one step further with the flagship iGame GTX1080Ti Kudan headlining its COMPUTEX 2017 showcase that has had countless people from China and across the world talking about it. Together with the flagship GPU product, numerous other iGame graphics cards from NVIDIA’s 10-series are on display in this year’s expo. 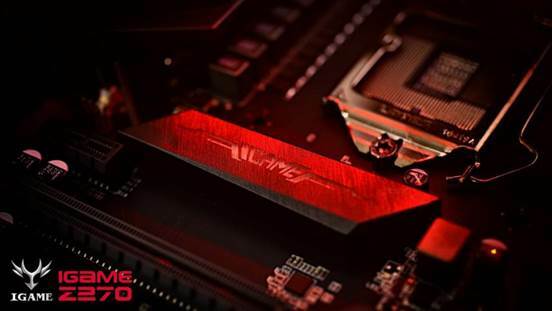 Maximizing performance is the name of the game and the new reveal of the iGame Z270 Ymir-X RNG Customization motherboard featuring 14-phase digital power is something to see. 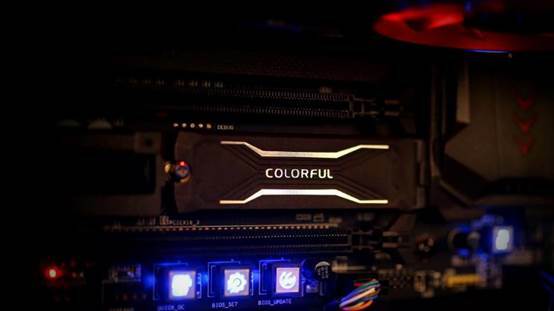 Witness and experience both superior performance and powerful storage with COLORFUL’s PCIe M.2 CN600 NVMe SSD aimed to complement its gaming line-up targeted for professionals and gamers. 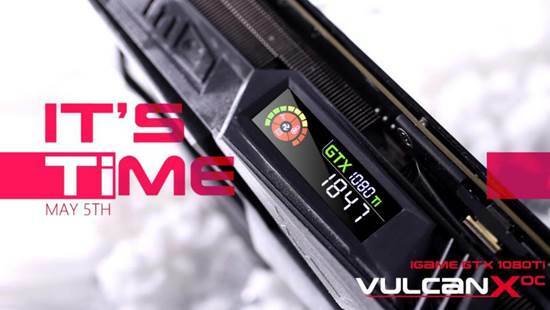 Once again, all eyes are on the iGame GTX 1080Ti Vulcan X which features an LCD display monitor on the card itself and is factory overclocked out of the box with frequencies up to 1708Mhz on its 3584 CUDA cores. Featuring lava-inspired PCB design with exquisite detail work, the iGame Ymir Z270X features iGameVoice2.0 audio system to improve audio experience and E-sports USB interface for gamers for the perfect audio experience. Expand your storage space with COLORFUL’s PCIe M.2 CN600 NVMe SSD featuring incredible storage performance with carefully selected NAND flash cooled by COLORFUL’s own Graphite Foil cooling technology. 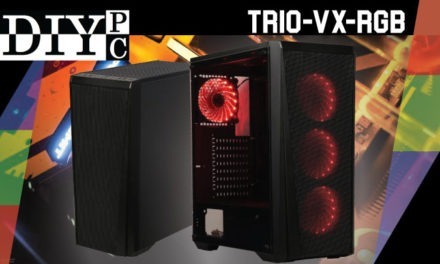 Witness innovative high-end graphics cards, motherboards and SSDs together with other Mini PCs, etc. See more unbelievable mods, all in COLORFUL’s showcase in this year’s COMPUTEX. 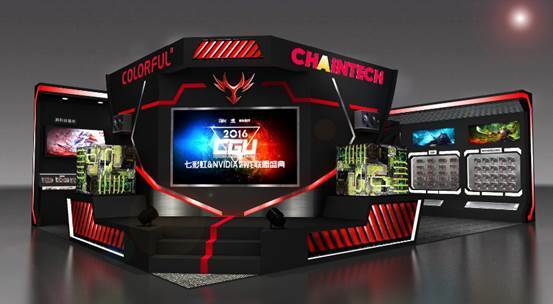 May 19th, 2017, Shenzhen, China – Colorful Technology Company Limited, professional manufacturer of graphics cards and motherboards, is thrilled to announce its all set and ready for COMPUTEX 2017 with various grand activities on May 31st of the year. 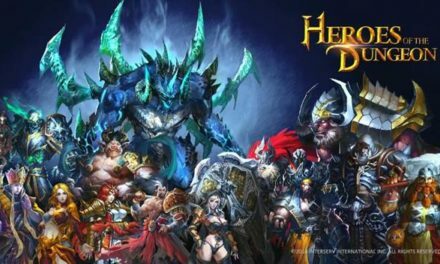 Visitors are invited to experience the high-end products, mystery releases and gaming events to be hosted by COLORFUL on TWTC Nangang Exhibition Hall (M1090a, No.1, Jingmao 2nd Rd., Nangang Dist.) during COMPUTEX 2017. COLORFUL, in association with Intel, will be announcing a mystery product on June 1st, 2017. The chairman of COLORFUL as well as two distinguished representatives guests from Intel will be visiting the COLORFUL booth and deliver speeches as well as the highly-anticipated big reveal of the mystery products. All media and visitors are invited to join this surprise at the COLORFUL booth. CyberMods 24hrs COMPUTEX 2017, by CyberMedia and TAITRA, is an event that units the modding communities, bringing together the modders from around the world to compete and showcase their talents at COMPUTEX. As an important sponsor, COOLORFUL not only shows its strong support, but also sponsors all graphics cards and motherboard at the CyberMods 24hrs. Competition event starts from 9:00AM to 6:00PM every day and modders will be presenting their PC built from 9:00AM to 4:00PM. This event will be intense! It will be tough! But it will be worth it! Come and enjoy it! COLORFUL has a deep sense of regard for the gaming industry and is excited be part of it and since CGU, COLORFUL’s official championship tournament all the way to LPL, COLORFUL wants to showcase its support and be as active as it can be to connect with gamers and learn more about their needs. 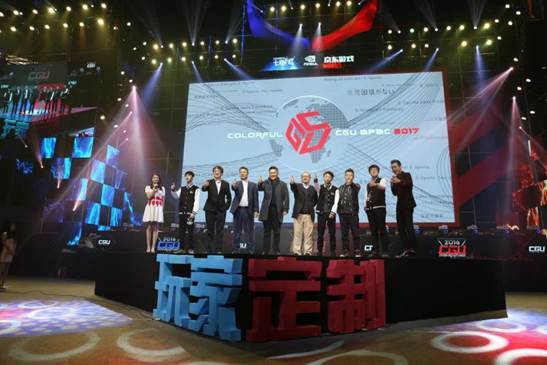 On COMPUTEX 2017, COLORFUL is prepared to host a simple eSports event from May 31 to June 2 at 1:30PM every day during COMPUTEX 2017. When eSports meets high-end products, its one spectacle of an event to witness. 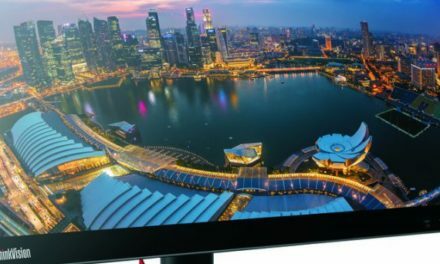 More exciting events will be revealed in COMPUTEX 2017! 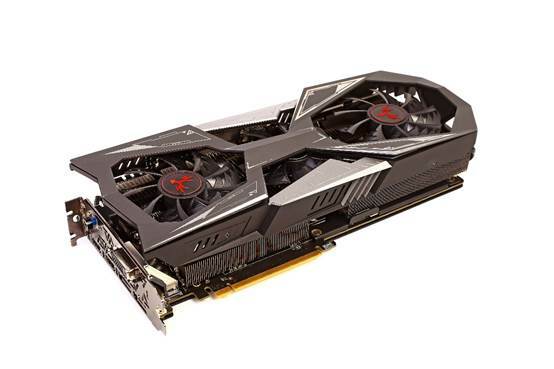 May 05th, 2017 Shenzhen, China – Colorful Technology Company Limited, professional manufacturer of graphics cards and motherboards, is pleased to announce the release of the world’s first graphics card with built-in LCD display: the iGame GTX1080Ti Vulcan X OC. Finally ready for release, the card will be initially sold in China and COLORFUL will share more details about it afterwards. 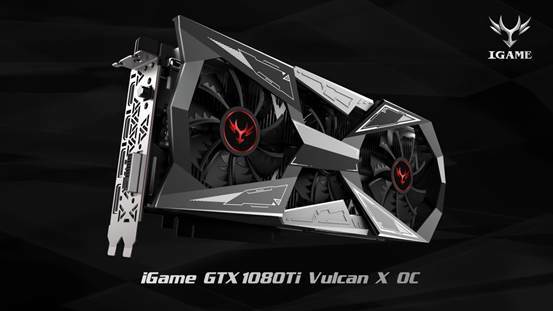 The iGame GTX1080Ti Vulcan X OC is targeted for sale at May 5th. 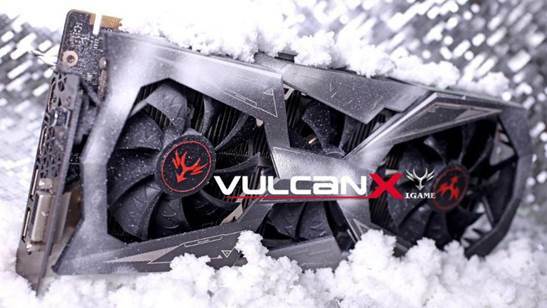 The iGame GTX1080Ti Vulcan X OC features a factory overclock of 1620Mhz on the core frequency and has a boost clock of 1733Mhz thanks to GPU Boost. The card runs 11GB GDDR5X memory wired to a 352-bit bus. The card features a 16+2 phase digital power supply reinforced by IPP (iGame Pure Power) and is equipped with the SWORIZER cooler with built-in iGame Status Monitor as well as 1.68 million color-capable RGB lighting. The new SWORIZER cooler features a redesigned thermal solution that places the contact position of the heatpipe all in one copper base and uses a C-type design to reduce thermal resistance and enhance heat conduction efficiency. The cooling fins are cooled by three 92mm duall ball-bearing Saw Sickle fans which cools 86% more surface area than the suaul double-groove coolers. This design ultimately cools the iGame GTX1080TI Vulcan X OC. 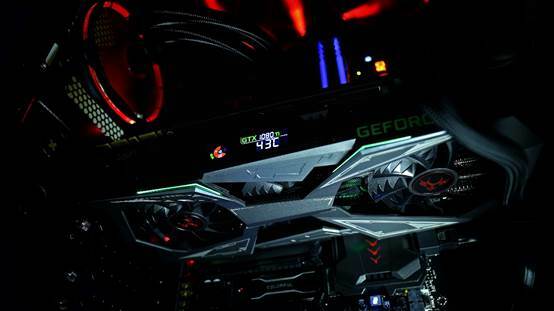 During its debut, customers from China and overseas talked about the screen on the cooler when they saw the iGame GTX1080TI Vulcan X OC. 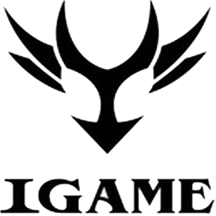 Now, the LCD screen receives an official name: the iGame Status Monitor. The display shows core frequency, core temperature, fan speed and memory used during operation. Aside from that, it also shows the status of the load level of the cards so the users are aware of the operating condition of the GPU. Colorful created the iGame series taking feedback from players’ comments and suggestions to create a distinct product for every situation. 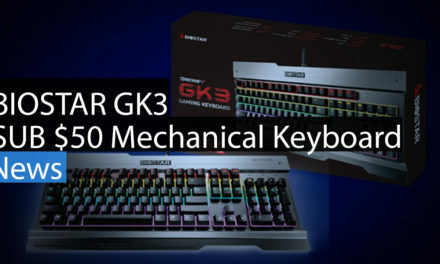 The iGame series is Colorful’s specialized product segment made for gamers, both mainstream and extreme.